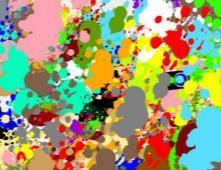 Paint Splash turns your TV into an interactive canvas where kids of all ages can enjoy painting using the Wii Remote. Up to four people can paint at the same time so the entire family can participate in creating fantastic paintings using just your Wii Remote controllers. Have 3D sports video content delivered straight to your Nintendo 3DS system via SpotPass with this dedicated Eurosport application, available absolutely free of charge from Nintendo eShop. Every week over the next year, two-to-three minute video clips from the popular WATTS series – which features a mix of sporting action and funny sporting outtakes from around the world – will become available to view in 3D on your Nintendo 3DS system. A simple casual game where you slide the stylus across the screen to slice cakes into small pieces, like a true Ninja warrior. It’s very easy to play. The more cakes you slice, the longer you stay around, and the longer you survive, the higher your score. How long can you last? You can also challenge your friends to a multiplayer game to show everyone who the best player is! GO Series presents Escape Trick – Ninja Castle from Intense. You are trapped inside Ninja Castle, which is riddled with deadly traps, and death is only ever one wrong step away. Explore surfaces for hidden items and secrets that can help you overcome the many obstacles and dangers that lie in your path. Utilise items in unique ways and solve the many puzzles on your way out of Ninja Castle.